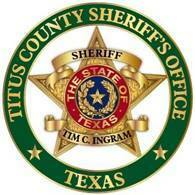 Titus County Deputies are continuing to search for two fugitives. Reportedly, 43-year-old Misty Nichole Mohr is known to frequent Talco and the southwestern portion of Red River County. Also, 52-year-old Christopher Stephens’ was last known to be residing in Morris County and is known to frequent locations where 8-liner type machines are operated.